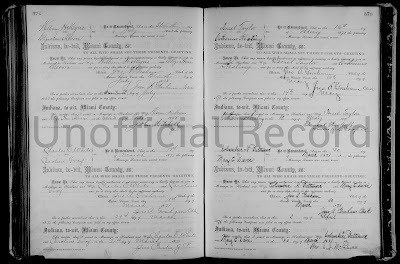 I have been trying for months to find the maiden name of my second great grandmother, Mary, who married Caspar Graf. I have one secondary source that lists it as Wrightweasner, but I have never seen that name anywhere else in my research. One of the research strategies that I use when I have trouble researching my direct line of ancestors is to start researching collateral lines. I have been successful in the past finding the maiden names of mothers, but not this time. I had researched my ancestor, Valentine Graf, and did not find his mother's maiden name. Next, I went to Valentine's brothers and sisters. I was hopeful his oldest sister, Caroline, would provide the clues I needed. Although her records didn't give me what I was looking for, I still found some interesting records for Caroline. 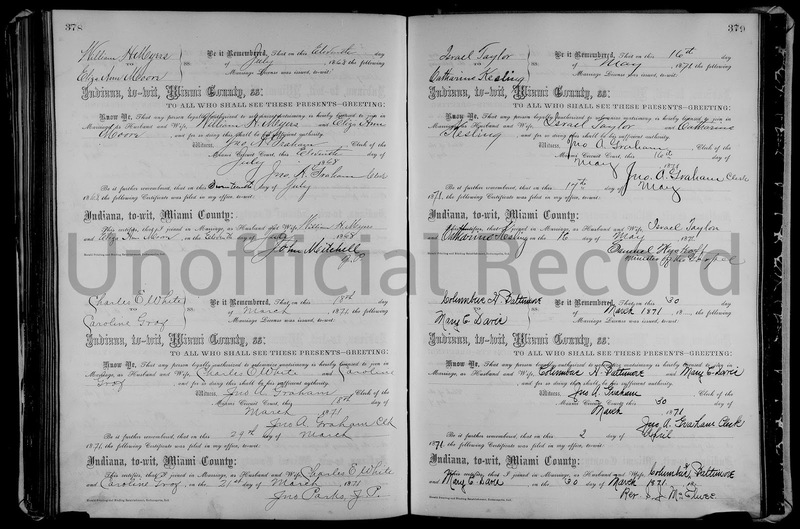 Source: "Indiana Marriages, 1811-2007," index and images, FamilySearch (https://familysearch.org/pal:/MM9.3.1/TH-1971-40056-4775-95?cc=1410397 : accessed 14 June 2015), Miami > 1867-1873 Volume 4 > image 241 of 347 citing the marriage of Charles White and Caroline Graf 21 March 1871; County clerk offices, Indiana. In German 'Wrightweasner' might translate to 'Reitwiesner' or 'Reitwiesener', according to the sound when spoken. I hope you manage to break through your brick wall. I know how frustrating these things can be. Thank you Susanna for the information. Tim, brick wall breaking could be a full time job! Oh, Lordy! Lord Stanley is 2!! 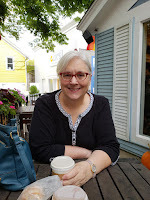 Where in the World is Huldah Rowley Fenn?